Betfair.com has become one of the most popular online casino websites, thanks to their unique way of offering the betting services. Unlike other online casinos, Betfair offers their players an opportunity to bet against each other through the Betfair exchange program. 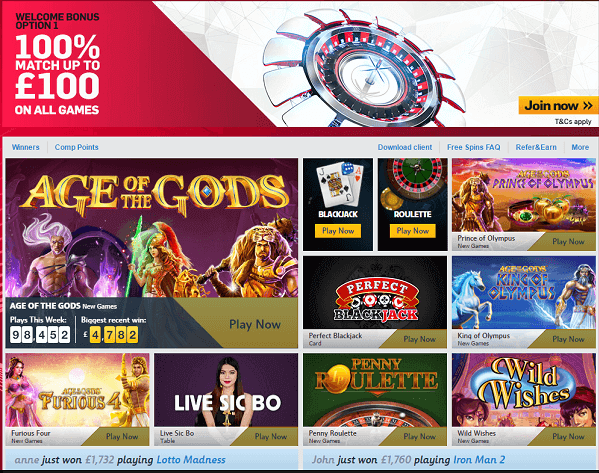 It started offering this services in the year 2000 and ever since, it has grown to become the best online casinos offering exchange services and games. On this article, you will learn a little bit more about Betfair exchange games and services as well as the history. 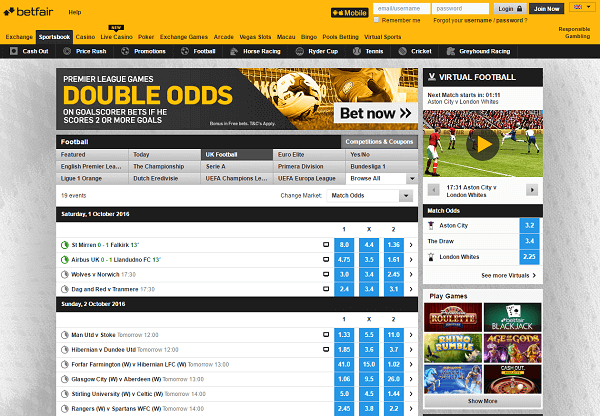 Betfair Online Casino was first developed by a British businessman, Andrew Black in the early 2000’s. In the year 1998, Andrew started thinking of a way that he could offer a different method of placing bets to different players from all over the world. After much thinking, Andrew came up with a plan. Even though his idea was somewhat revolutionary, it was also straightforward. His main objective was to basically come up with a plan that would bypass the bookmakers and come up with a platform that would allow people to place their bets against each other instead of using the bookmakers. The basics of Betfair exchange were straightforward; people would have a chance of proposing their bets while others would accept the bets. This way, people would be able to lay bets as well as place the bets. The people laying the bets would act as the bookmaker and had an opportunity of setting odds. This implies that the prices would be determined by the market forces. This company came up with a betting platform and in the year 2000, they were ready to launch their online betting site. Betfair was conceived then. The first market on Betfair was on the Epsom Oaks, which was a horse race that was won by Love Divine. Being a new betting concept to people and a new online casino, they had to look for ways to market the company. Indeed, the company took a novel approach to make Betfair known to people. One way that they did this was by organizing a parade through the streets of London with coffins and proclaiming “the death of bookmakers”. This obviously got the attention of people in London and Betfair exchange games and services were in people’s lips. Right from the very start, Betfair had to fight off competition from other companies that had a similar idea. 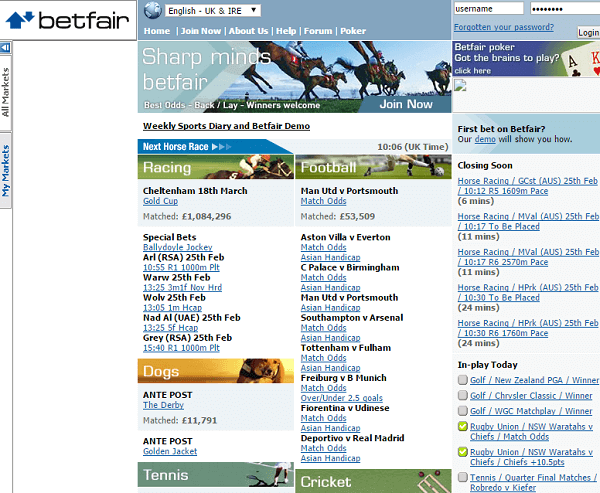 Just a few weeks before Betfair could go live, there was a rival site that had already started its operations, Flutter. The idea behind this company lay along Betfair’s lines and they were using a system that was similar to auctions that are carried on Ebay. In the idea, it allowed players to match their bets against one another. When compared to Betfair, Flutter’s model was simple whereas Betfair’s model was much more flexible and sophisticated. In 2001, Betfair purchased Flutter. Andrew’s betting model was implemented by other operators but the original term, open-market betting didn’t stick. Instead, the media and the gambling industry at large adopted the Betting Exchange term. It’s for this reason that Betfair became widely known as Betfair Betting Exchange website. During the first year of operation of the casino, there were quiet a number of major developments. In May 2001, Betfair launched an in-running betting, a casino event that has become really popular. 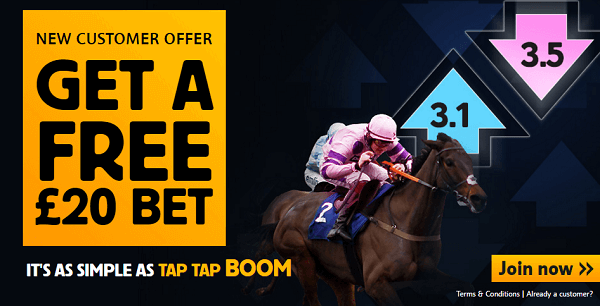 One month later, Betfair became the selected betting exchange provider for various racing posts website, one factor that really helped Betfair exchange games and services become popular among the players. In October the same year, there was the launch of the telephone betting services, which widened the appeal for Betfair exchange betting. With the increasing growth of the company, Betfair had to look for bigger and better offices. In 2002, the company relocated to new offices in Hammersmith, London. In the same year, Andrew and Edward were named as the Emerging Entrepreneurs of the Year by the professional accounting organization, Ernst and Young. Moreover, the company signed a two year sponsorship deal with a UK soccer company, Fulham FC. In the year 2004, Betfair also launched a new product, the Betfair online poker services under the Cryptologic network. The company also upgraded their exchange platform that had better and increased functionality. In addition, the company also signed up for more sponsorship deals including the oldest horse racing events, the St. Leger. Over the years, Betfair increased its sponsorship deals including becoming the official partners for The Grand National. This is probably one of the famous horse racing event that is watched by over 500 million people from all over the world. Moreover, the company also acquired its first license outside the UK in Austria and subsequently Malta. In 2006, the company also launched the mobile betting platform as well as their online casino. It also launched the Betfair Zero Lounge, which entails a list of online casino games that have no house edge. It also purchased Timeform, which is a publisher of horse racing guides, ratings and analysis. 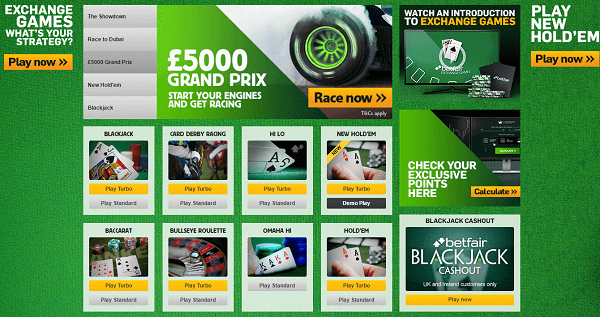 In 2010, Betfair Exchange casino went public and was listed in the London Stock Exchange. The share price of the company was valued at £13 with the total worth of the company being valued at around £1.4 Billion. Betfair has attracted various controversies with the major one being the in-betting service that the site offers to its horse racing events. This controversy arises because most of the horse races are aired live on television. As a result, they are subjected to a delay of a few seconds. Consequently, the players or customers who are watching the event at the race tracks have an upper hand of placing bets that they already know the outcome, and consequently taking advantage of the players who are watching the event on television.